Kingdom Come: Deliverance finally brings its brutal medieval role-playing to the masses tomorrow, and publishers Deep Silver have provided a launch trailer to mark the occasion, showcasing your role in all of it. As is natural for a grim historic tale, the trailer juxtaposes stoic vows against a decidedly less pious set of images. A bit of drinking here, some torture there, along with imprisonment, assassinations, banditry, and general mayhem. The game aims to take the fantasy out and bring RPGs to a more grounded setting, without sacrificing character customization or story depth along the way. An open world filled with castles, fields, and historic characters ties together a dynamic setting where you can choose your own path, whether that be one of peace or violence – or even chastity. If you’re already down for Deliverance, make sure to keep an eye on your updates to account for the game’s significant day one patch. 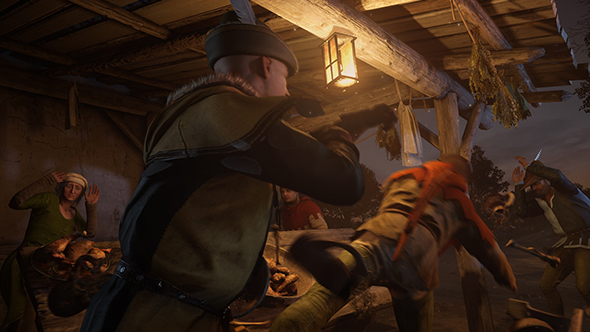 Kingdom Come: Deliverance launches February 13 for $59.99 / £39.99 / €49.99.